During last Wednesday May 18 restrictions on traffic-8 in Valdes, a measure that had already been announced by the Ministry of Public Works began. It closed the section between Querúas-Cadavedo, with the aim of improvement works in this section of the call Cantabrian motorway. 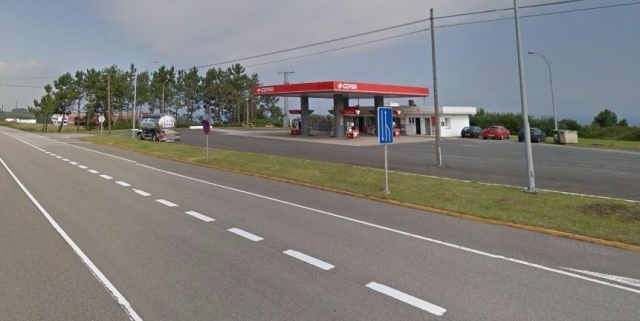 The works were awarded 1.4 million euros to improve the road surface.However, these works could significantly harm the pilgrims traveling to Santiago de Compostela by the North Coastal Road. The eight-week cut in the A-8 is expected to result in higher level of traffic on the N-632, probably at similar levels to 2007. This road is widely used by pilgrims, so associations in the area, as the Association of Friends of the Camino de Santiago Valdés - Luarca, have warned that use extreme precautions in this section or, if possible, do not walk along the N-632 between Querúas and Cadavedo.